The Kingdom of Spain is a democratic parliamentary monarchy, a member of the European Union and a signatory to the Schengen Area Agreement. Spain is also part of most international organizations and a signatory to most international treaties and conventions. Spanish territory is administratively divided in 17 autonomous communities (regions) including two autonomous cities in Northern Africa (the cities of Ceuta and Melilla). According to the 1978 Spanish Constitution and the respective Autonomic Statutes, all of these territories have some legislative, administrative and political exclusive or shared authority. Spanish law is based on civil law with civil and commercial codes. From a commercial point of view, franchising is ruled in Spain by regulations in the Retail Act (Ley de Ordenación del Comercio Minorista), as amended in December 2018, as well as by a special Decree on Franchise (the Regulation). These norms deal with administrative and general rules, but do not regulate the franchise relationship. 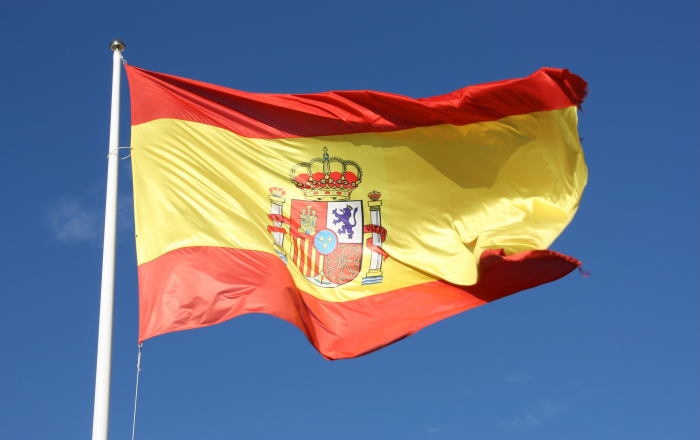 Foreign franchisors are free to operate in Spain with no need for any special authorization. Moreover, according to the latest amendments to the Retail Act, other administrative obligations (such as registration on the Franchisors Register or required disclosure updates) are no longer necessary. Therefore, a non-Spanish entity does not have restrictions in granting master franchise or development rights to a local franchisee or master franchisee. Similarly, there are no general restrictions on foreign franchisors owning equity in a local business or in owning real property. From a commercial point of view, the franchise sector has been continuously increasing. According to the 2018 Report of the Spanish Franchisors Association, there are 1,348 franchised brands operating in Spain of which about 82.8% are Spanish and the rest are from 26 different countries with France, Italy and the United States being the principal countries. This is an increase of 108.7% since 2001. Fashion is the main market followed by hotels and restaurants. technical or commercial assistance, or both, provided by the franchisor to the franchisee during the agreement term as the parties may agree. The parties are free to draft a franchise agreement in whatever way they choose and it does not have to be executed in any particular language or be notarized. In addition, there are no mandatory clauses that must be contained in a franchise agreement. The franchising rules are applicable to commercial franchise agreements regardless of the sector in which they operate. Nevertheless, a contract granting the exclusive commercial right of distribution is not necessarily a franchise if it is simply a contract through which a vendor promises to buy, under some conditions, merchandise (that is normally trademarked) from a seller who grants to the vendor, under certain conditions, exclusivity within a certain area and providing assistance to purchasers. the grant of a logo or commercial trademark name. the contents and characteristics of the franchise and its exploitation, a general explanation of the business, special characteristics of the know-how and the permanent commercial or technical assistance the franchisor will provide to franchisees, and an estimate of the necessary investment and expenses to start a business. the essential elements of the franchise agreement. According to the Regulation, a franchisor can require the franchisee to execute a confidentiality agreement with respect to the information disclosed. Disclosure is only required once. There is no requirement to provide disclosure before the same franchisee opens additional outlets. As of December 2018, there is no requirement for a franchisor to register on any special National Register. Some regional regulations could, however, require registration at a regional level, but only when the franchisor intends to operate exclusively in that specific region. There is no requirement to register franchise agreements. The form of Spanish franchise agreements is typically the same form used in the EU and the United States. Typically, if a franchise agreement complies with the requirement of the EU Block Exemption Regulation (BER) 1 it will comply with Spanish competition law requirements. Restrictions set forth in the Spanish Competition Act (Defense of Competition Act 15/2007 of July 3) apply to franchise agreements. Article 1 of this Act is similar to Article 101(1) of the Treaty on the Functioning of the European Union which prohibits anti-competitive agreements. The Competition Act declares (Article 1.4) that the prohibitions will not be applicable to the agreements falling within the exemption of the European Commission’s Block Exemption Regulation No. 330 of 2010 (BER). The Spanish National Commission for Markets and Competition can declare (pursuant article 6) that those prohibitions are not applicable to a particular agreement when there are no specific restrictions on competition or when the agreement provides some benefits to consumers. Moreover, those prohibitions will not be applicable (Article 5) to restrictions of minor importance set forth in the Competition Regulation, particularly when the participants in the agreement do not have a market share in excess of 10% or 15% (depending on whether the participants are competitors). A franchise agreement can have a specific term or an indefinite term. If the contract has a specific term, it will end upon the agreed term. It can also be terminated upon a breach of contract, death (in the case of individuals) or liquidation of any of the parties (in the case of companies). If the contract has an indefinite term, any of the parties can terminate the contract by advance notice. Since there is no legal norm regulating the length of the advance notice, it should be sent with a reasonable notice period, as dictated by the circumstances of each agreement. Nevertheless, according to the Unfair Competition Act, termination of a commercial relationship without a written and precise previous notice given at least six months in advance could be considered unfair, except in case of a severe breach or force majeure. Ignacio Alonso is the Founding Partner of Even Abogados, Madrid, Spain. Ignacio practices in the areas of corporate, distribution, franchising and commercial law. He is also a country expert at the International Distribution Institute (www.idiproject.com), an international arbitrator and mediator. Robert Smith is a partner in the Washington, DC office of Quarles & Brady LLP. He has represented franchisors for almost 40 years in a variety of transactions, including franchise deals in more than 80 countries.